Known as the best place to hang out and have fun since 1974, Churchill's British Pub has been Atlanta's Oldest British Pub for in town partygoers looking for good times and great libations. As the most established pub in Atlanta, their clientele are almost all 'regulars' who call Churchill's British Pub their place to meet, greet and be merry. 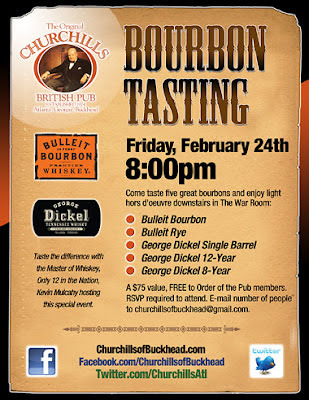 On Friday, February 24th, join Churchill's British Pub for five bourbon tastings of the legendary Bulleit Bourbon, Bulleit Rye, George Dickel Single Barrel, George Dickel 12-Year and George Dickel 8 -Year. 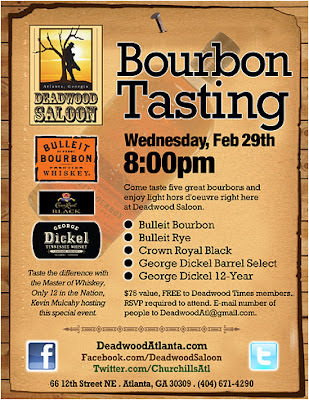 Master of whiskey Kevin Mulcahy will host this special event. Light hors d'oevres will be served. A $75.00 value, FREE to Order of the Pub members. 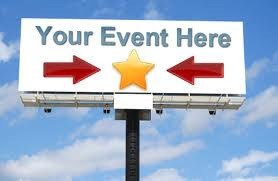 Email churchillsofbuckhead@gmail.com for more information. 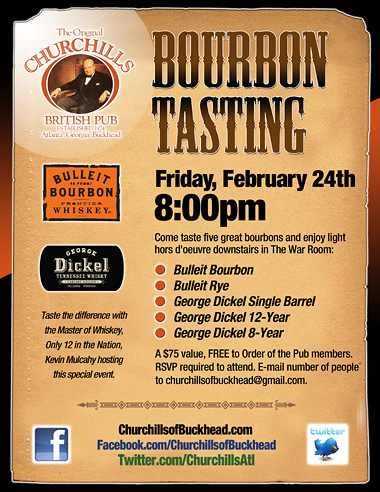 Churchills British Pub is located at 3223 Cains Hill Place in Atlanta. Deadwood Saloon in Midtown is Atlanta's neighborhood bar and captures the essence of the good 'ole American saloon in a unique Midtown Atlanta bar and restaurant atmosphere featuring fresh foods, good times and strong drinks every night of the week. 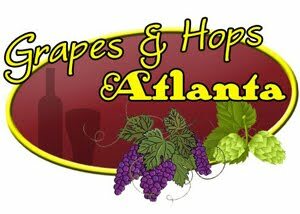 Try their fresh made burgers, tacos, wings and so much more. Each night features something different, so head on down to Deadwood Saloon in Midtown Atlanta if you're looking for a great Midtown bar experience. Deadwood Saloon is located at 66 12th Street NE in Atlanta.